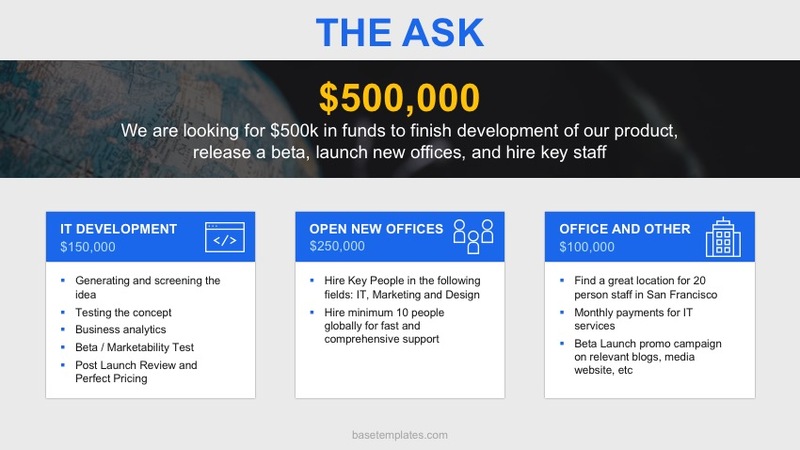 Does Pitch Deck Design Really Matter? The impressions we form in the first few seconds matter. 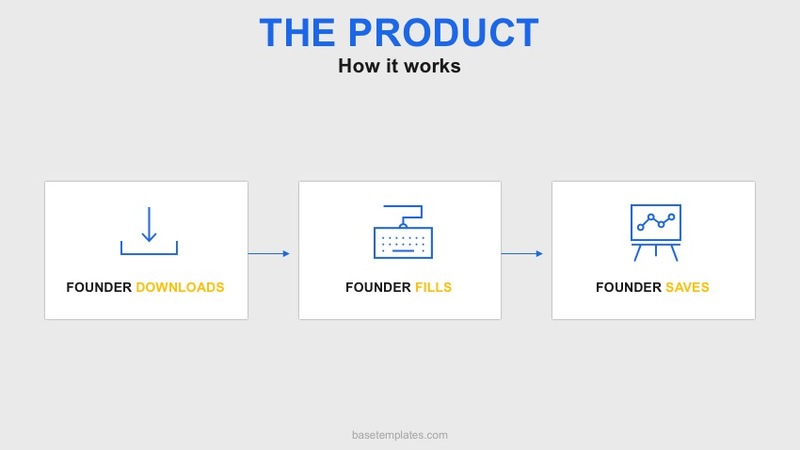 Most investors will judge your pitch deck (and you) on appearance without even realizing it. This means that different colors, shapes and font styles all have a big impact on the success of your pitch. 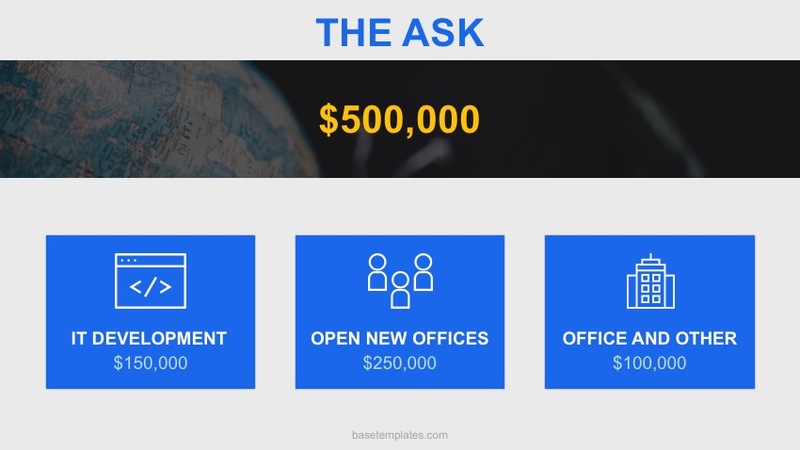 Investors see hundreds of pitch presentations a year, and design is one of the easiest ways to ensure they remember yours. Good design enhances your story and makes the key points of the presentation stand out, communicating your story more clearly and effectively. Investors need to understand your slides within seconds of looking at them, so the amount of written content you include is critical. Always choose images, charts and figures over writing and, if you do have to include written material, use as few words as possible. Every deck slide should have the same style: margins, color scheme, font size, and visual assets. These small details ensure your presentation looks smart, professional and well considered. Avoid large or very small page margins, as this makes your slides look crowded. We recommend a margin between 1.5cm and 3cm. Your color scheme should enhance your deck and complement your logo. Pick two or three main colors for your deck and use shades of the same color for variation. A highlighter color to showcase important content is also a great idea. Choose no more than two font sizes; one for headings and another for everything else. Make sure all fonts can be seen from across a room (we recommend at least 50px) but are not so large that words are split between one line and the next. Make sure you use high resolution images and avoid any that would not occur naturally. Charts, graphs, and diagrams must complement your color scheme and fit neatly onto the slide. Avoid 3D images, which can be difficult to interpret. Avoid using transitions and animations, unless you have slides showing a complex process or data, in which case introducing elements one at a time can be helpful. 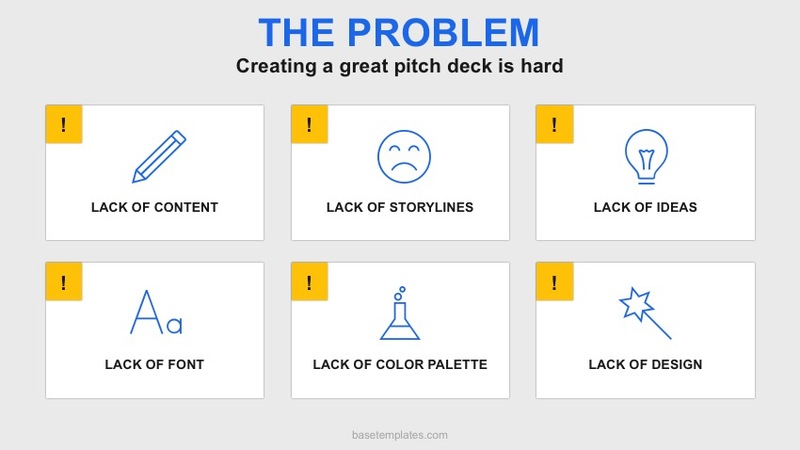 There are two types of pitch decks: presentation decks and reading decks. contain very little information, it is designed to accompany a verbal pitch and should be used to highlight key points. is not presented to investors in person. 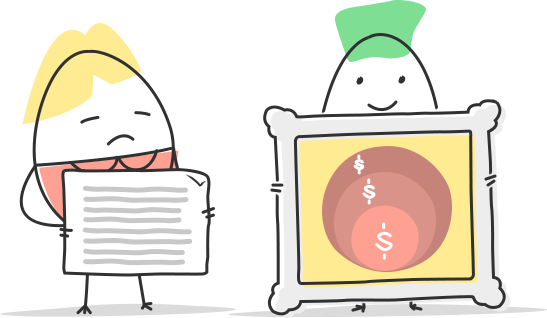 It must include enough information to give readers a detailed overview of your business model, team, and solution. As you would expect, some design tips work best for pitch presentations while others are better suited to reading decks. Here, we share some of the best design tips for both. 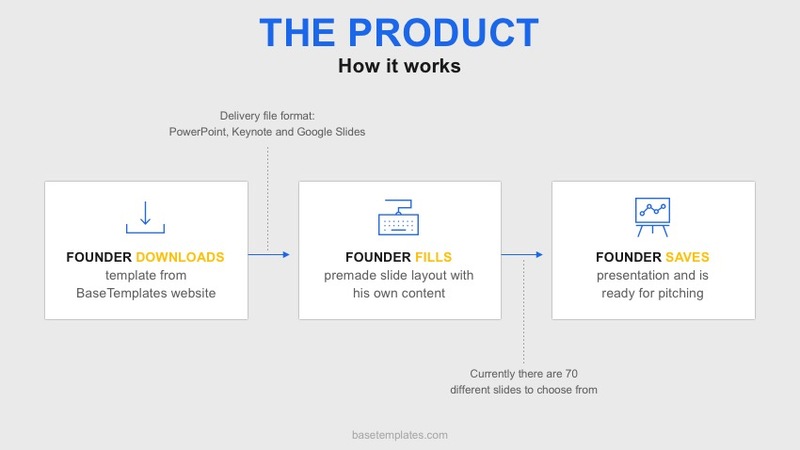 When it comes to pitch decks, there is one point every successful founder should know – use as few words as possible. Your deck slides are there to introduce an idea; it is your verbal pitch that will provide the majority of the information. Always use images and charts instead of words and limit yourself to 10 words per slide. Top Tip. Once you have written your presentation deck, delete any word that is not a header. Can you rephrase the header so that you can still understand the slide? A reading presentation deck has a lot of work to do. 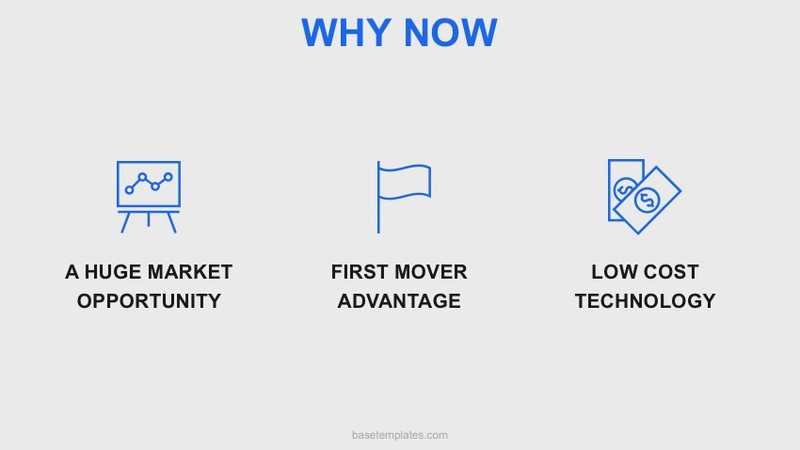 Investors should be able to glance at your deck and understand within minutes what your venture is about. The slides have to say everything you would have said in person in the shortest time possible. Each slide has two purposes; to make a point, and to back it up with data. The most effective slides make one point and one point only. Using the same slide to deliver multiple ideas makes it harder to read and understand. Select words carefully, each one must convey a meaning. Steer clear of useless adjectives and impressive phrases – investors should be able to see that your customer acquisition strategy is effective, your product exciting, you don't need to waste space on lengthy phrases. Our comprehensive customer acquisition strategy delivers effective cross channel returns. Average spend per sales lead. Social Media: $0.70, Location-based: $1.60, Print: $2.60. Top Tip. Split your reading deck slides into three, with a title at the top, a 'mission statement' in the middle, and a more detailed explanation (no more than 50 words) at the bottom. 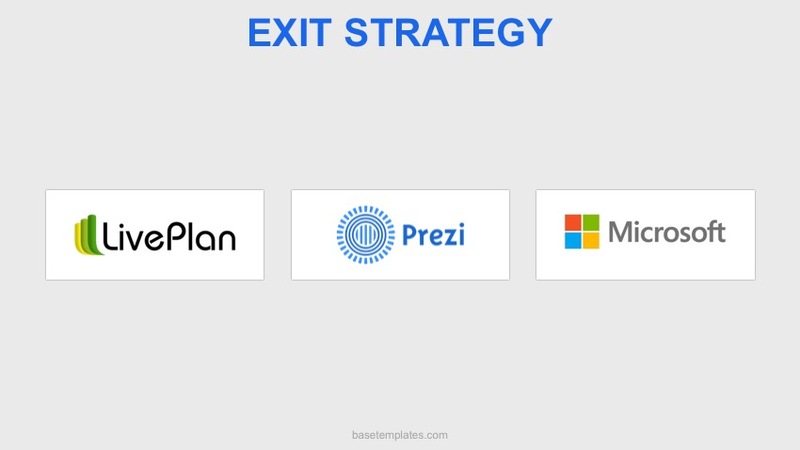 At BaseTemplates, we use a number of resources to help create the best presentations; here are a few of our favorites. Most of them are free, and all are really helpful. Enjoy! 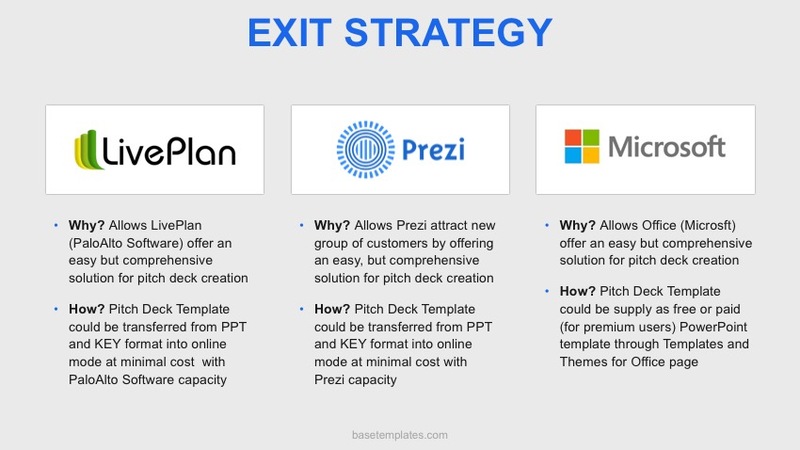 Your pitch deck design will have a big impact on how investors view your venture. 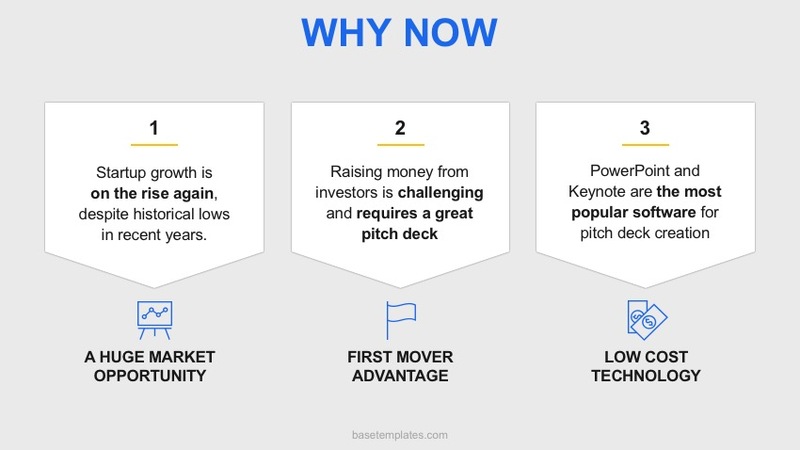 Whether you are creating a pitch presentation or a reading deck, your slides should be clear, consistent and well structured if you want to impress investors.